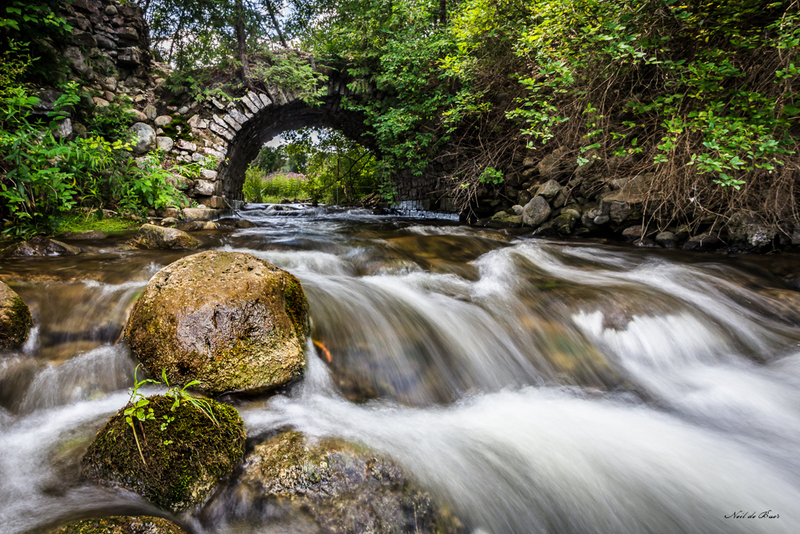 This is the old Stone Arch Bridge that crosses Bowman Creek just outside Blair Ontario. It is visible from Blair Rd. just before Fountain Street. I have read that it was probably built in the mid 1800’s for a rail line servicing the mills in the area. It is a beautiful hidden gem and hopefully it will receive some sort of maintenance so that it doesn’t succumb to the forces of nature. 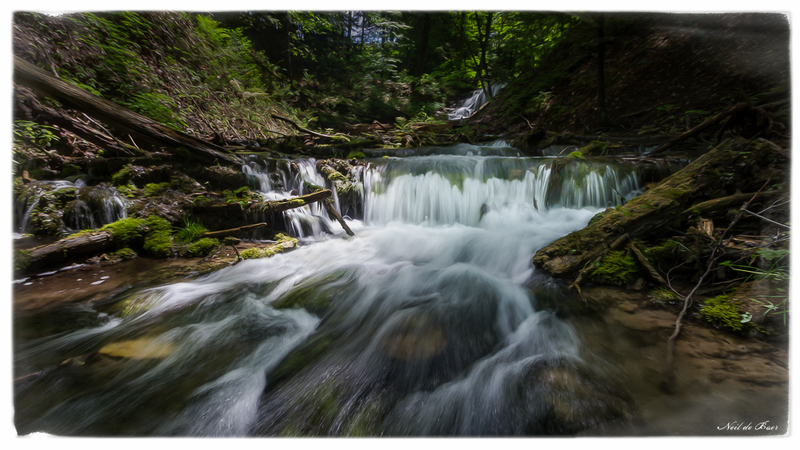 This past weekend I got the chance to visit Jones Falls. 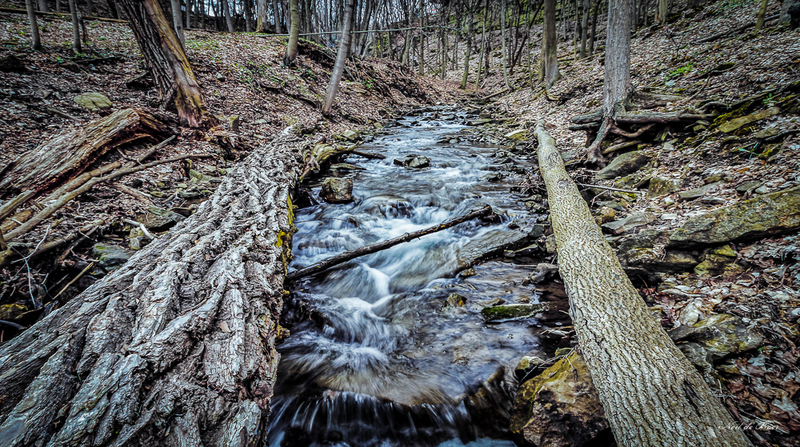 Located at the west side of Owen Sound they are a short hike from the highway. 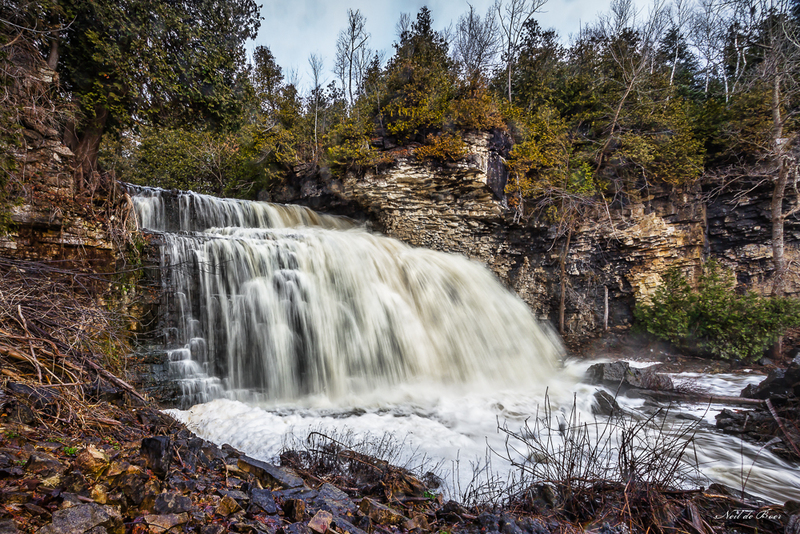 The trail to the falls is an easy walk but if you want to get below the falls – as I did – you will want to have sturdy footwear and take your time. 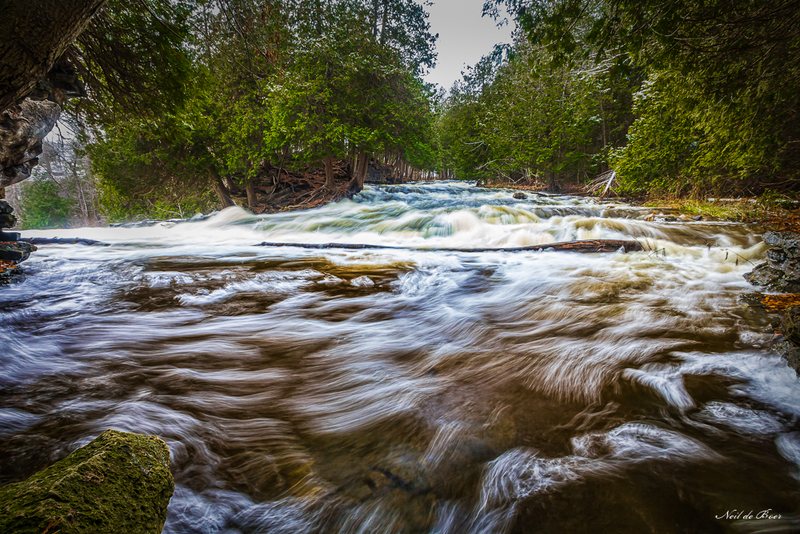 The water was quite high and flowing fast! 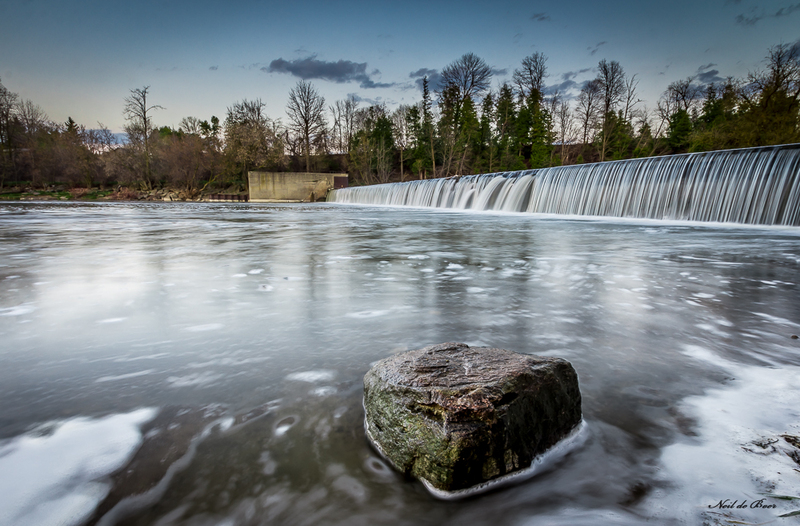 I love the sound of the rushing water. It incompasses all your senses and makes it a joy to photograph. 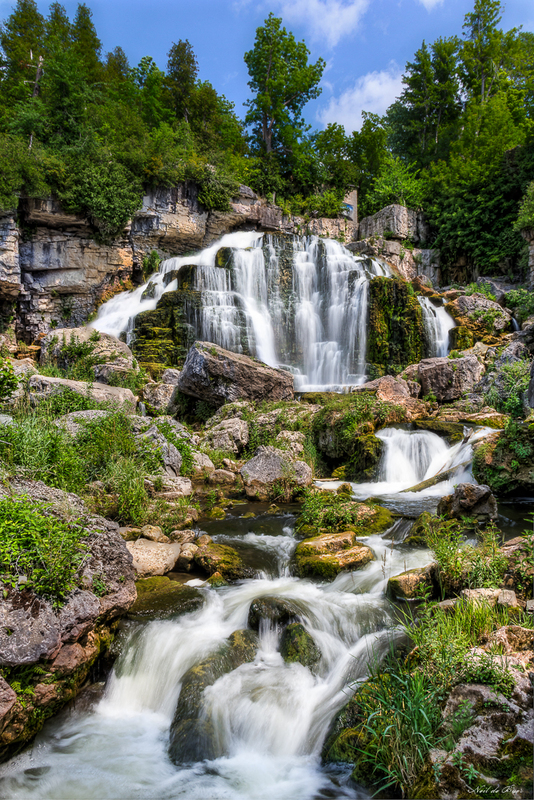 Weavers Creek Falls is located in Harrison Park in Owen Sound Ontario. 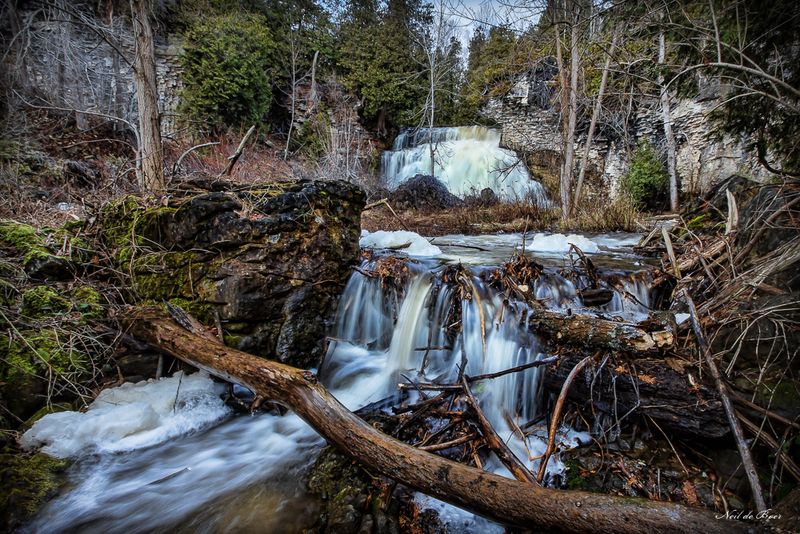 I have photographed these falls in the winter so it was great to come back this past weekend to get a summer shot. 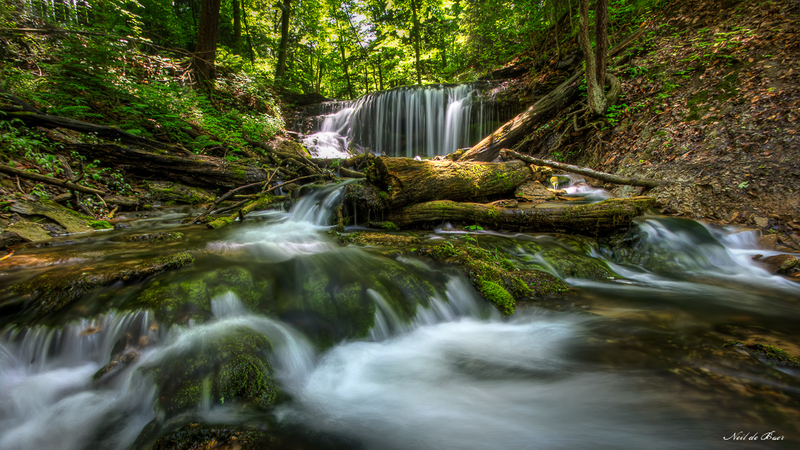 You find these falls at the end of a beautiful boardwalk trail that follows the creek. To get this angle however, you have to venture across the creek.